This week was super crazy. We didn't get to work very much because we had a lot of stuff to do for our pension and tramites take FOOOREEVEERRR. We had to register our pension with the inmobiliaria, and then with the city, and then get the light turned on, and the water, and then move in, and then oh wait we don't actually have water we have to go to the other pension to shower, and now we're going to sit here and wait for the guy from the inmobiliaria to come install the cocina, oh wait he decided he didn't want to today, etc. AY. But everything is good now, so this week should be normal, and hopefully we can progress a lot. Unfortunately because of this there's not a ton of news. We only have one new investigator, so we spend most of our time contacting still. We did have a great lesson with a menos activo who's an exmisionero. It was great because the Spirit taught, not us, and we were able to help him hear and feel exactly what he needed. He had to start working on Sundays and went inactive, but we had an awesome lesson with him and he's going to start exercising his faith more so he can come back to church. His testimony is still so strong so hopefully he will follow through. Just goes to show that the Spirit is the best teacher. Training is still super hard, and I feel like that one scripture that says the blind are leading the blind. I feel super bad for my companion that he got stuck with me, but he's being helpful and not judging me too much for all of my weaknesses. Hopefully he can learn at least half as much as he is helping me learn. Also, new ZLs here are Elder Maynard and Elder Gonzalez! We met them Tuesday in district meeting. Super excited for that. We won't see them much because they are in Victoria but nonetheless. 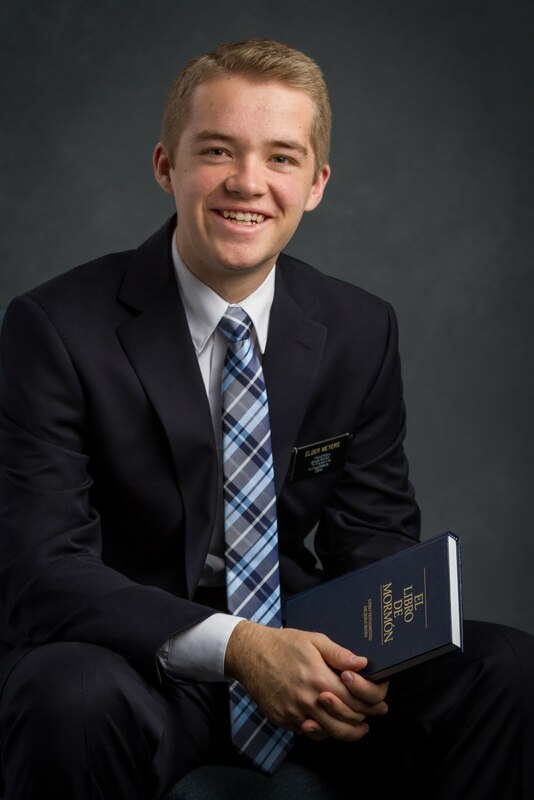 Elder Maynard is my age, but already has 10 months in the mission because he left back in May (graduated early). He's a super stud, and my mom found his blog before I left so I feel like I already know him haha. Elder Gonzalez has a year and a half, and previously was in Terminal for 6 months earlier in his mission! We spent a ton of time talking about Terminal. I remember all the members there always talking about Elder Gonzalez and how he was such a great missionary because he was so humble, and I can see that. I know I can learn a lot from him. And Elder Maynard. Both of them are super humble and obedient missionaries, and I hope I can be like them some day. Spiritual thought: Look up Moroni 8:25-26. I have officially named this the Process of the Gospel. It's the perfect if then statement of how to achieve exaltation and eternal happiness. I won't spoil it for you all, so go look it up. Until next week! Remember that Christ knows us and always wants to help us. He is there to lift us, and we only need turn to HIm with a sincere heart.